I love Paul Jouve's work so I was really pleased to find this even though it is a limited edition print particularly as it is such a good size. 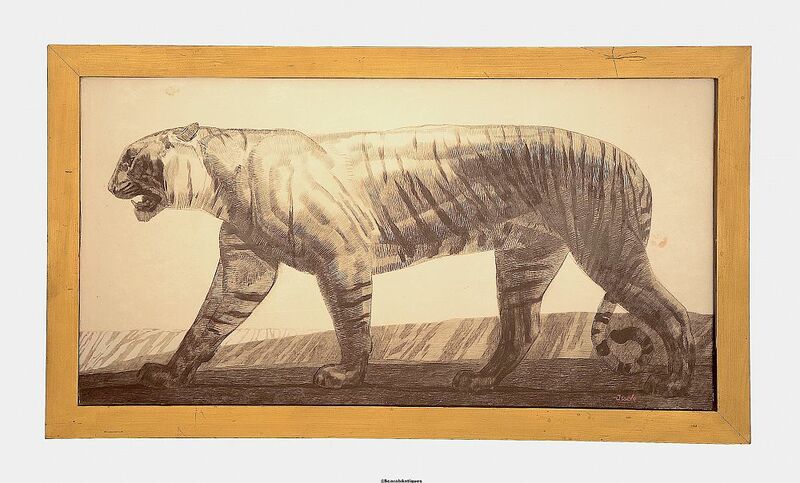 The image of the tiger has been printed onto board and then framed in a plain dull gold wooden frame. 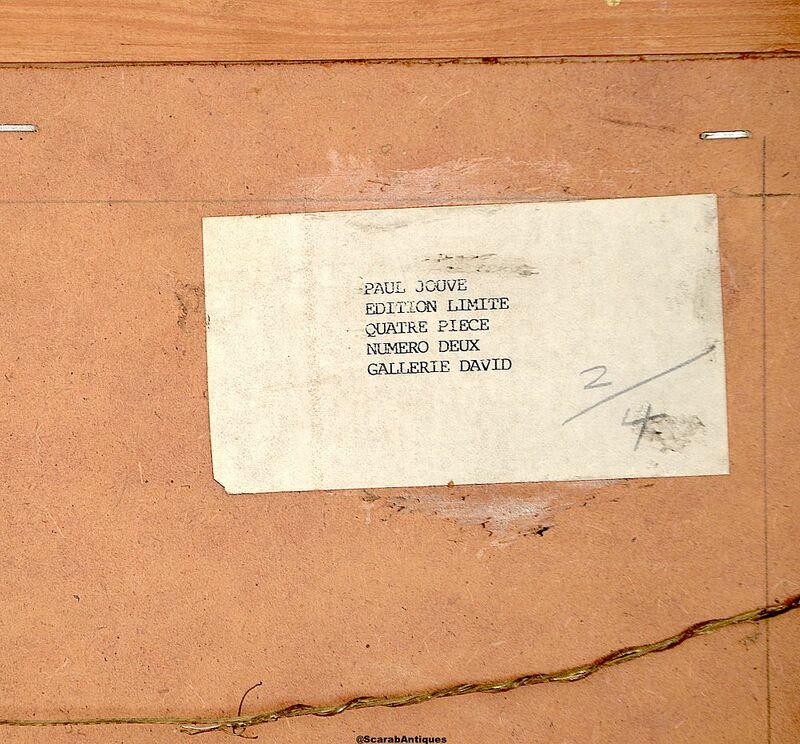 There is a label on the rear of the print on which is printed " Paul Jouve Edition Limite Quatre Piece Numero Deux Gallerie David" and 2/4 has been written onto the label in pencil. In terms of age I would guess 1970s-80s. 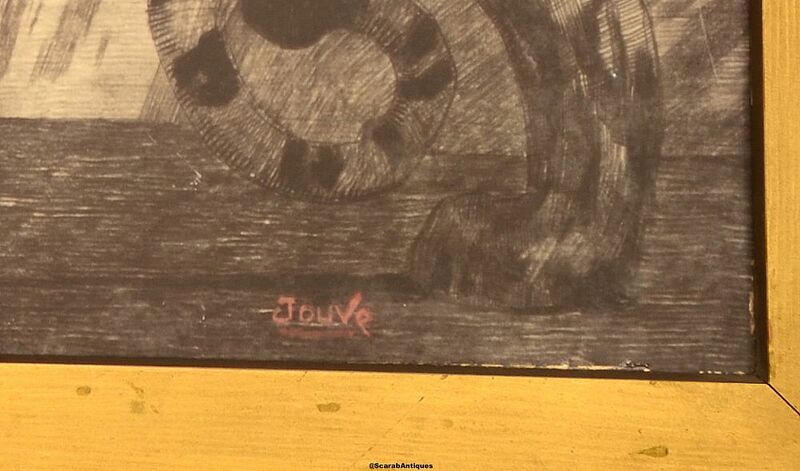 Two yellow stains on the print and scratches on the frame.